One of the toughest marketing jobs today is working for an app developer. With app downloads projected to surpass 66 billion by 2016 (more than double the 31 billion apps installed in 2011), more often than not marketers are targeting smartphone users, who are expected to drive the majority of mobile downloads. The bad news: the vast majority (68%) of smartphone users open only five or fewer apps at least once a week. So, what's a marketer to do? Text messaging is one of the most effective direct marketing channels to attract new users as well as to increase engagement with existing customers, according to a recent study by Peggy Anne Salz, editor of MobileGroove. SMS is especially important for marketers who use a freemium model—for which engagement is critical—to monetize their apps. Their business—making money via in-app purchases—relies on how well they can keep customers coming back to purchase more features, levels or other functionality they find valuable. Despite the increasing availability of mobile chat or instant message applications, text messaging remains the primary mode of communication. 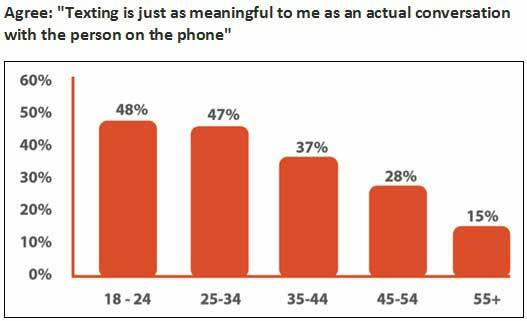 More important, people equate messages on their phone with having "an actual conversation." That's a clear signal both to marketers and to mobile app developers that SMS messaging has the power to reach, engage, and influence people. Here are a couple of examples of how that's possible. Thorsten Trapp is a co-founder and the CTO of tyntec, which he founded in 2002 with Dr. Ralph Eric Kunz. Thorsten developed tyntec's mobile messaging platform architecture, and he is responsible for the company's technical innovations and intellectual property.